This is my second guest post in my whole three years of food blogging. 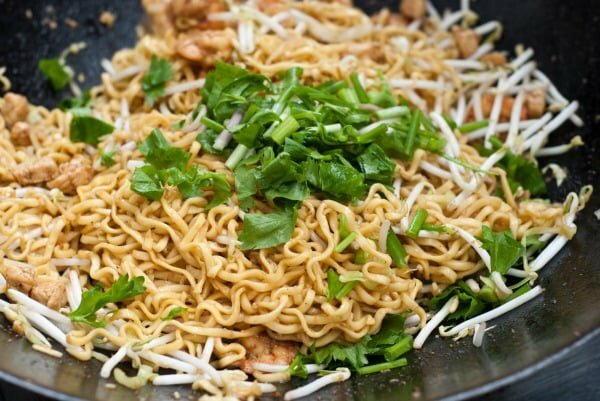 In the spirit of NoRecipes, I am sharing a basic Javanese noodle stir-fry recipe that is essentially the essence of most fried noodle recipes found. It can be tweaked as you wish and is very easy to make. 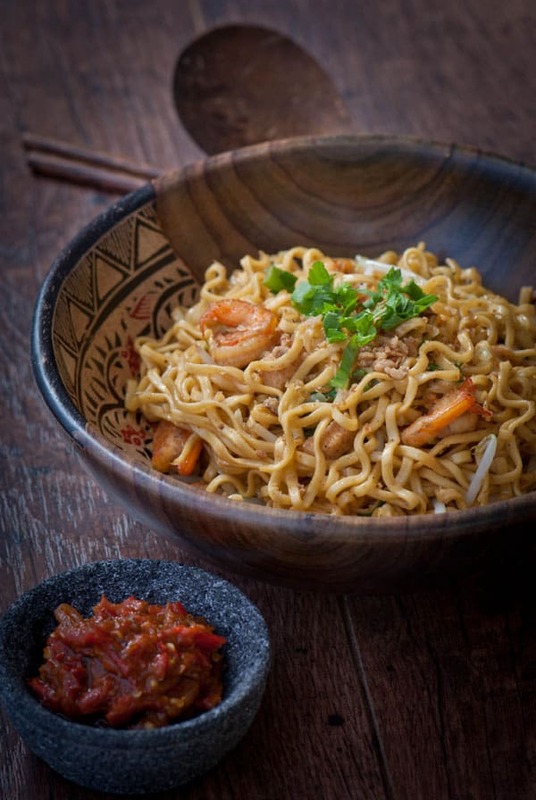 Famously known as Mie Goreng Java, this noodle dish is versatile and can be served with many condiments such as sunny-side-up egg, chicken satay, fried chicken, freshly cut cucumber slices and tomatoes. Indonesian cooking can be concluded into prep steps and cooking steps. 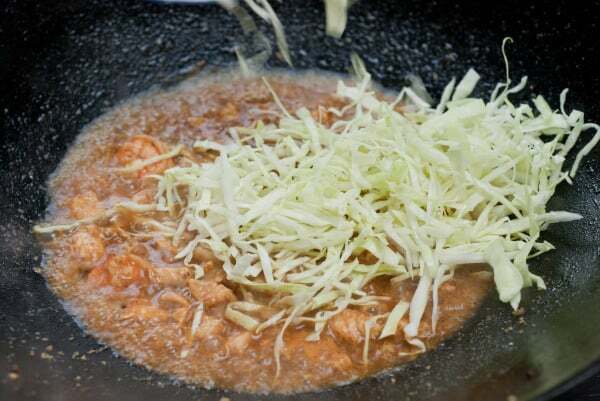 The first prep step is the preparation of the main ingredients (be it noodles, seafood, rice, poultry). The second step is the grinding of spices (most commonly used is garlic, shallots, chilies, spices and seasonings). 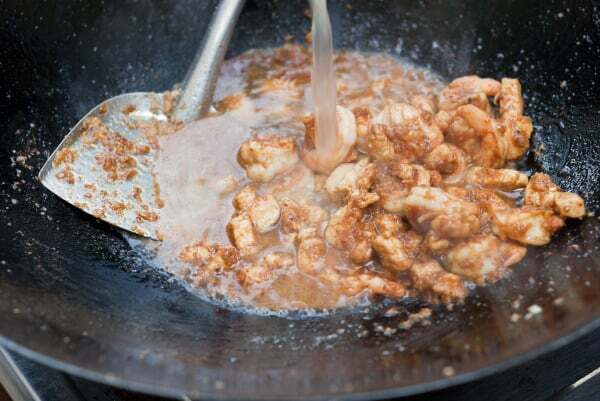 Cooking steps include the stir-frying of the spice paste and finally, the addition of the main ingredients. It is not that complicated, though it does taste slightly complicated and looks like a lot of work! Mie Goreng is not. I can assure you. First thing first, get some noodles. Dried egg noodles or fresh noodles. 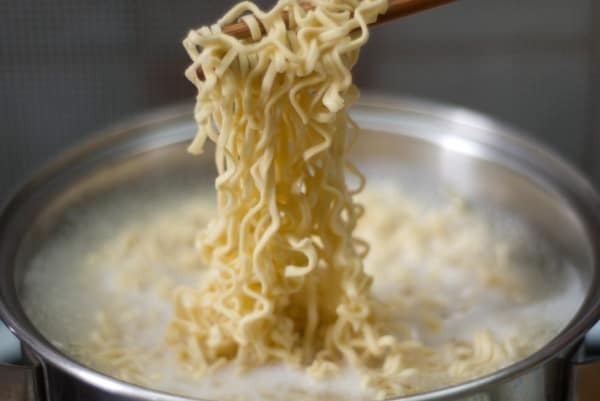 If dried noodles are used, boil the noodles half the time instructed in the package. The final cooking stage will be done later in the wok. If fresh noodles are used, rinse quickly in cold water and drain. 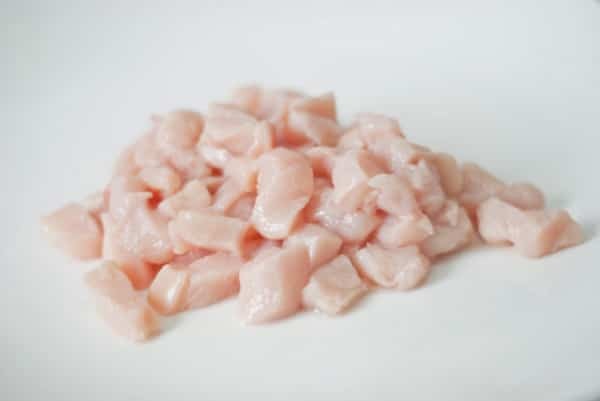 Cut chicken breast into cubes. Some people like to deep-fry the whole breast till brown and crusty and then shred them up. 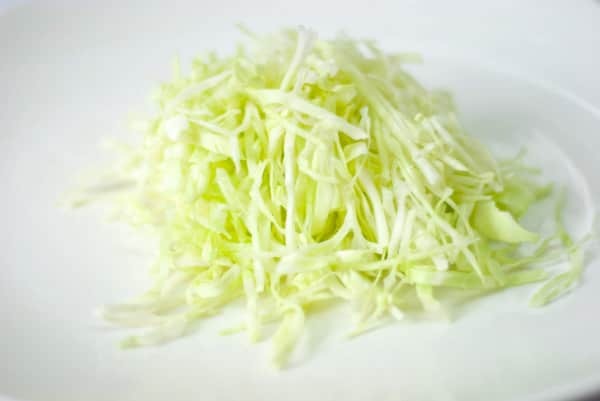 Cut cabbage into thin shreds. This is a must in Javanese noodle stir fry. Chop spring onions and Chinese celery. 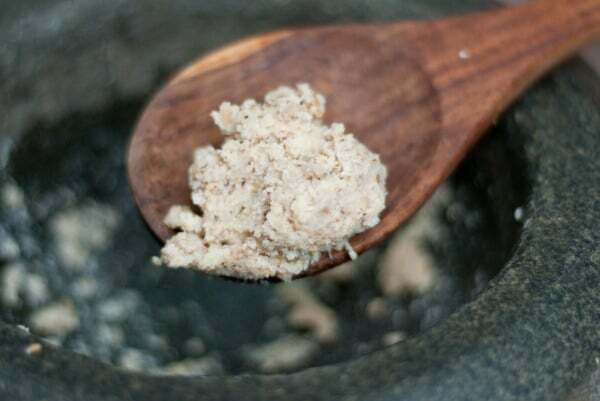 Basic spice paste ingredients are garlic, toasted candlenuts and whole white pepper. Grind these in a mortar and pestle. 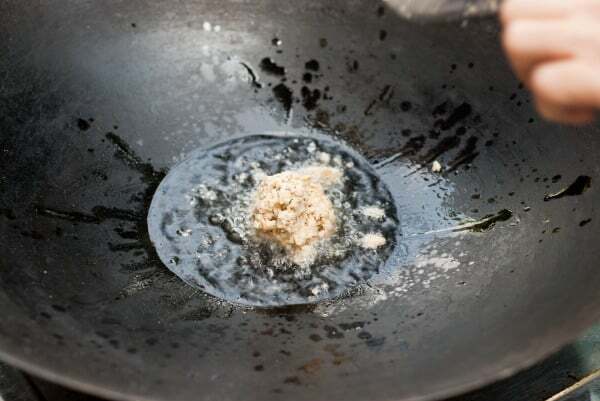 Heat cooking oil in a wok and stir-fry the paste over medium heat. 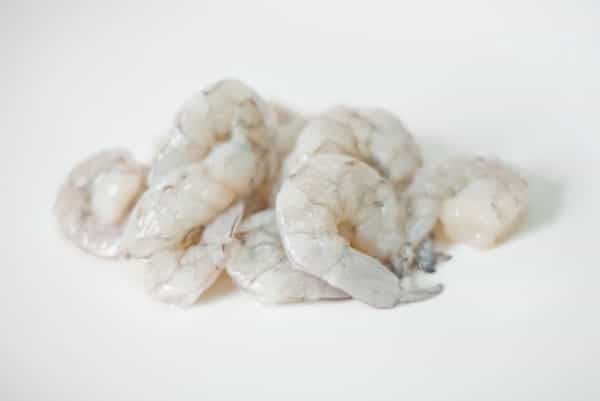 Once the paste turns slightly browned, add chicken pieces and shrimp. Add chicken stock and lower heat. Let it boil and reduce by a third. 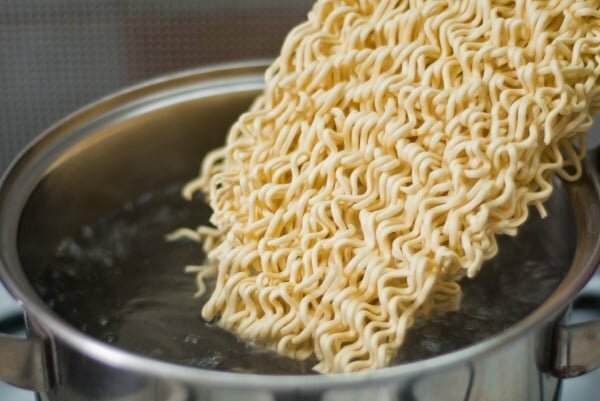 When the liquid has reduced more than a third, add the noodles. If you like noodles that is less dry, add the noodles sooner. Mix well. 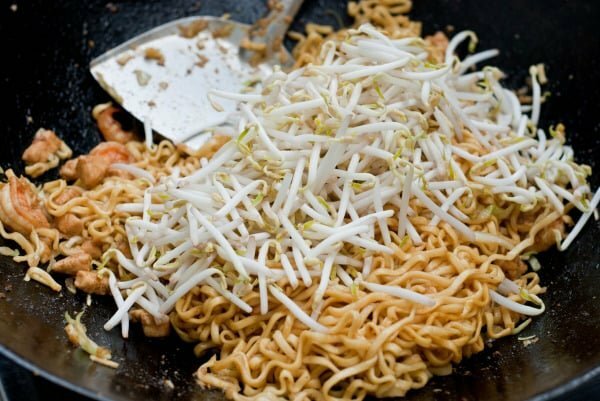 Add bean sprouts and work quickly to mix this up. If darker color noodles are preferred, add more sweet soy sauce now. 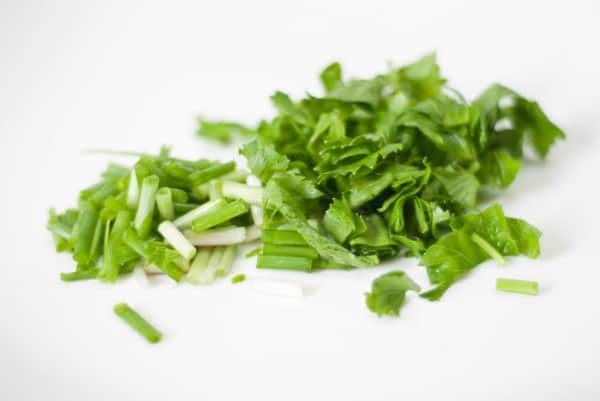 Toss chopped spring onions and celery. Remove from heat. 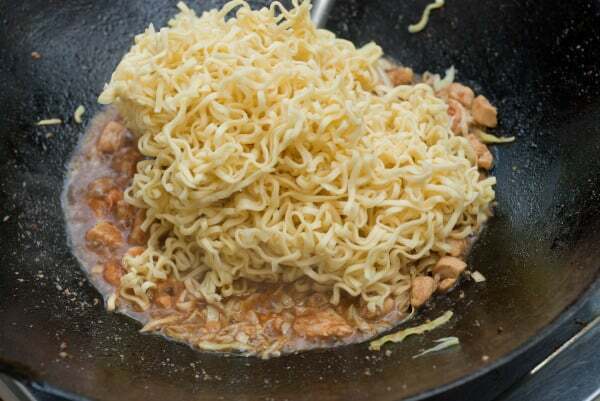 Serve the Mie Goreng with other condiments, such as fried shallot flakes, fried eggs, satay or sambal belacan. More variation: for a spicier Mie Goreng, add a couple of teaspoons (or tablespoons) sambal oelek when frying spice paste. Or grind a couple of chilies together with the spices. 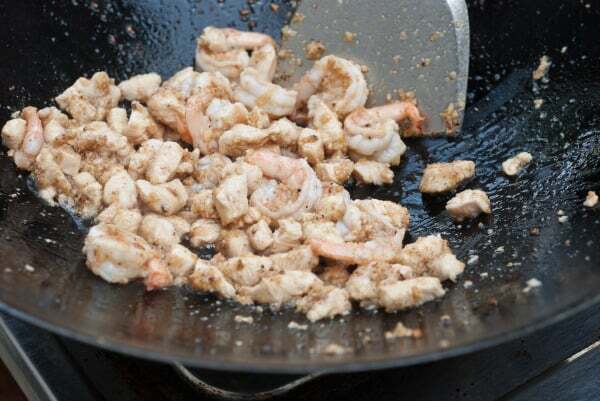 Chicken and shrimp can be substituted with beef, lamb, fish, fish balls, prawn balls. For a vegetarian version, leave out all the meat and keep the vegetables. If using dried noodles, prepare noodles as direction but reduce the time called for by half. 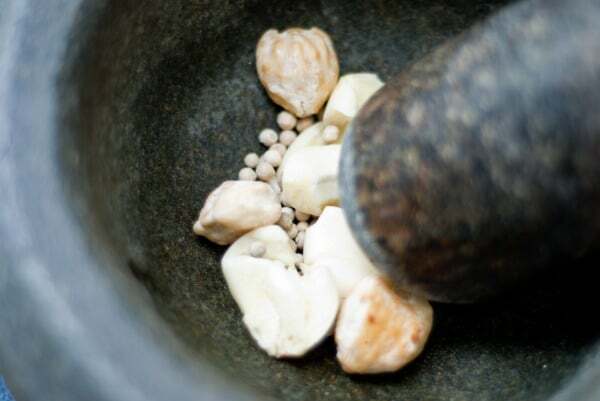 Grind garlic, candlenuts and pepper using mortar and pestle, or electric grinder, to smooth paste. It takes such a commitment to take photos of the step by step process… I’ve been too lazy to do that.. so I find this really inspiring. 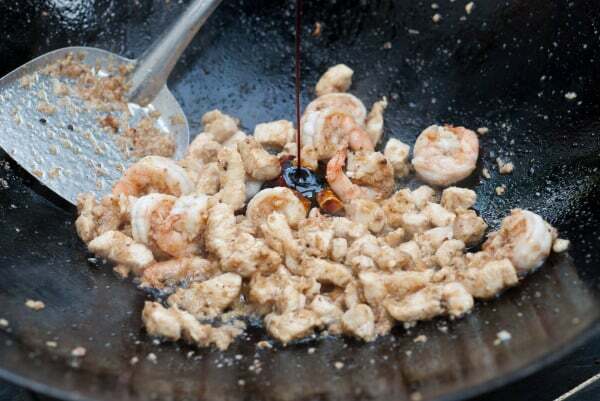 Will definitely be doing this as I have all the ingredients & I love sambal oelek, thank you! This is comfort food at its best. I’ve been on a noodle kick lately and I can’t seem to get enough. This is going on the to-cook list. Thanks! I cant find candlenuts at all… none of the asian stores around here seem to carry them at all. i have looked for them in the past… is there a good substitute? It looks amazing! I agree with another commenter, it looks like comfort food. Thanks for sharing and off to look at your blog! Looks delicious! Indonesian food is truly wonderful. So many flavours! Everytime was a big secret for me noodles, how to prepare it with so many flavours. I must told to my girlfriend about this site, because I want it on evening. This looks so easy! Noodles are so satisfing! I’m going to have to try this, my family will love it. Oh you make me miss my home! This sounds like an amazing stir fry! Love all the flavors in there and I’m sure that paste, alone, would make the house smell great! Absolutely amazing. Made it for dinner tonight here in Tennessee with a fried egg as a topper. Thank God for the Sunrise International Market which had all of the ingredients. Thank you for the fabulous intro to Indonesian culture. 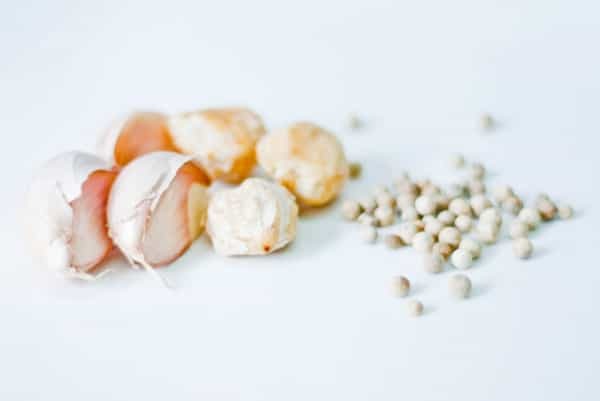 White peppercorns: what a revelation! And BTW, Peggy, you are RIGHT. The paste alone, when being stir-fried, makes the entire house smell amazing. What a great noodle dish. These are the flavors I’ve been craving lately – it’s going into the “Weekend Noodle” file! Aaah…having grown up in Surabaya and Jakarta, I really miss this stuff…gotta try it soon! I love this stuff! I have to try it SOON! =D Thanks for the recipe, Marc! Hi, cant wait to try this recipe!!! Can i omit the candlenuts? And can you recommend the brand of Indonesian sweet soy sauce which you have used? Im living in Singapore, not sure if im able to find indonesian sweet soy sauce around here. Thank you! Hi Nora, I picked up a bag of candlenuts and Kecap Manis (sweet soy sauce) the last time I was in Singapore so you should be able to find both ingredients there. The best mie goreng recipe I have ever seen. Thank you.The point that the noodle must boil half of the time mentioned in package in very important. I am going to use this point the next time I make noodles. 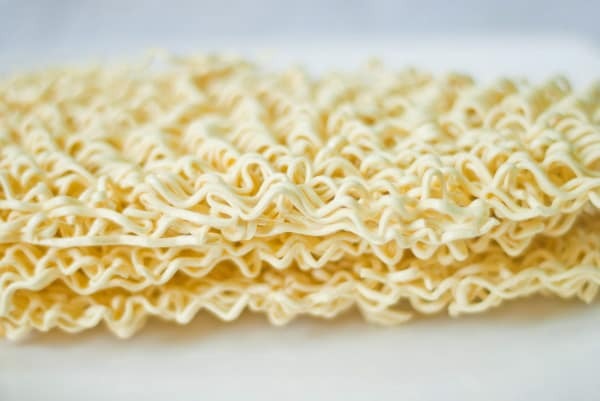 Do you cook the noodles before you put them in the pan or do you add them uncooked and dry? Thanks. Also, what is sweet Indonesian soy sauce? Thanks again. Judging by the amount of ingredients I’d say 3-4 people. I have had a similar dish my dad called it bahmi goehring. Sound familiar. Any suggestions would be great. Would that be the same dish.. I’m. not sure of the type of noodles he used. Kecap manis indeed, in the netherlands it’s written ‘ketjap’. I’m making this dish tonight! Its appetizing and YUmmmm. I love to relish it this weekend. maybe it’s bihun goreng . and this dish using vermicelli .